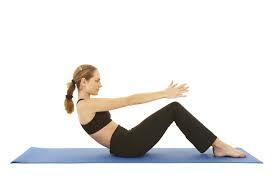 We run Pilates classes weekly at the clinic. Pilates is an excellent exercise tool to help you get stronger and more mobile, particularly if you’re recovering from neck or back pain. We run Beginners and Intermediate classes regularly. We also run Pilates Equipment classes, which use a Pilates Reformer, a Balanced Body Springboard, an arc- barrel, an Exo-Chair and the Balanced Body Barre. The classes we run are designed and led by a Chartered Physiotherapist, so you can be confident that you’re in safe hands. There are a maximum of 8 participants in each class so close supervision and instruction is easy. We try to group participants in to groups of similar ability and each class is tailored to the participants- no recipes here! We run classes Monday- Thursday. Get in touch to find a class that suits you. We run beginners and intermediate level classes. Contact us with your name and number and we’ll get you into a class that suits you as soon as possible. Classes are booked in blocks of 6 consecutive weeks and cost €66 for the 6, payable on the first night of the class. Just get in touch by phone, email or use the contact us form and we will endeavour to fit you into a class.